3 Pack: Visor Clip Sunglasses Holder In Assorted Colors Only $3.99 + FREE Shipping! You are here: Home / Great Deals / 3 Pack: Visor Clip Sunglasses Holder In Assorted Colors Only $3.99 + FREE Shipping! Constantly loosing your sunglasses in the car? This visor clip is going to make that a thing of the past! 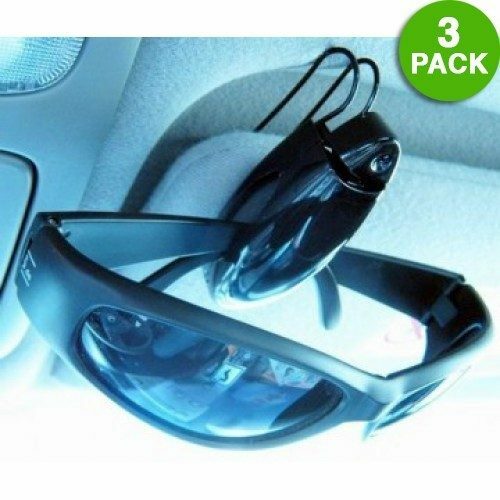 This 3 Pack: Visor Clip Sunglasses Holder In Assorted Colors for Only $3.99 + FREE Shipping means you are going to be able to put a pair of sunglasses in every car and they will still be there when you come back!